JAKARTA (foresthints.news) - Despite the new palm oil moratorium recently put into effect (Sep 19), PT ANJT, an Indonesian-listed company and global palm oil supplier, continues to level good forest cover to develop new palm oil plantations in its concessions in West Papua’s South Sorong and Maybrat regencies. 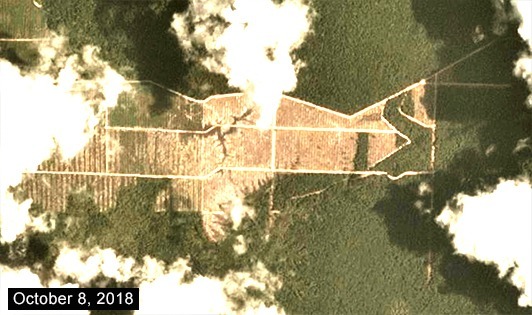 This situation proves that global palm oil supply chains, especially those that involve major players such as Nestlé, Unilever, Mars, ADM Global, PepsiCo and others, remain linked to the removal of Papua’s intact forests. By using satellite data, forestry-based research NGO Greenomics Indonesia - which regularly exposes constant deforestation by PT ANJT - has managed to confirm continuing deforestation by subsidiaries of this listed company. 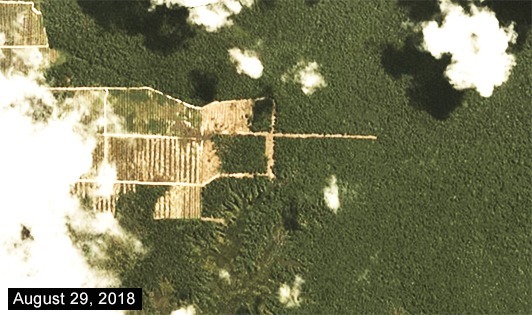 The following time-series based Planet Explorer images, presented by Greenomics showing one of the deforestation spots in an PT ANJT concession, highlight how West Papua’s good forest cover is still being cleared even after the imposition of the new palm oil moratorium. 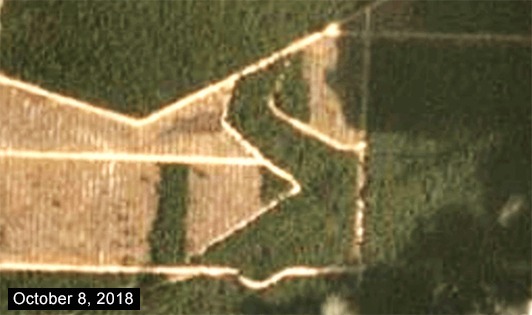 To take one example, Nestlé, a client of The Forest Trust (TFT), has been proven to have been sourcing palm oil from PT ANJT while good forest cover equivalent to almost 40 thousands football fields in two concessions belonging to the listed company has been nearly completely cleared. Nestlé has made a recent announcement stating that it plans to blacklist suppliers that are still linked to deforestation and peat destruction. Proof of this, however, is awaited. 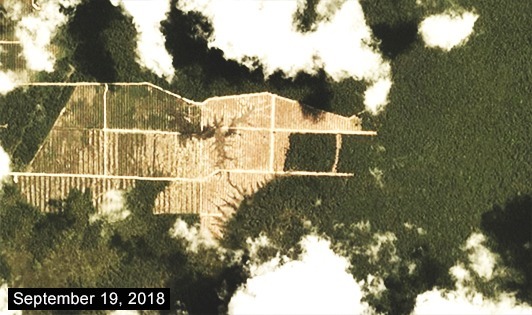 In many other cases besides that of PT ANJT, Nestlé - despite its responsible sourcing policy - has shown itself unable to disengage its supply chains from deforestation and peat destruction for years, a situation that continues until now. “The case of PT ANJT is one of the real tests to see if Nestlé keeps the promise about its blacklist policy,” Executive Director of Greenomics Vanda Mutia Dewi explained (Oct 9). Currently, according to her, efforts to clean up global palm oil supply chains from deforestation and peat destruction are receiving legal backing in Indonesia under the leadership of President Joko Widodo. In early December 2016, the President placed a ban on new peat development which causes peat drainage, while quite recently (Sep 19) he signed a 3-year palm oil expansion moratorium in areas with good forest cover. “This means there is no reason for global palm oil players to remain engaged with suppliers that are still associated with the massive deforestation of good forest cover and peat destruction in Indonesia,” Vanda asserted. In late January this year, Indonesian Environment and Forestry Minister Siti Nurbaya emphasized that companies have to fulfill their public promises on the ground by cleaning up their supply chains from deforestation and peat destruction. The fact is that most companies that have made a commitment to cleaning up their supply chains instead remain linked to deforestation and peat destruction, including and especially global palm oil buyers such as Nestlé.